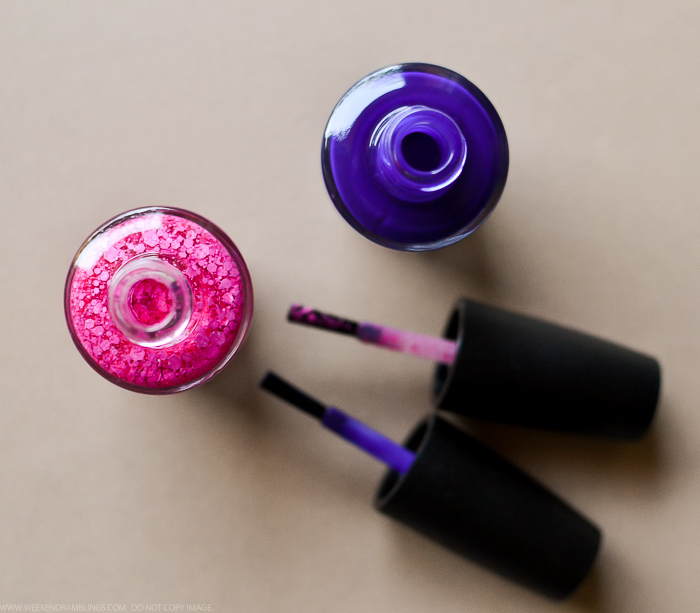 I rarely try out bright colors with my makeup, but when it comes to nail color, there is hardly any color I would say no to. 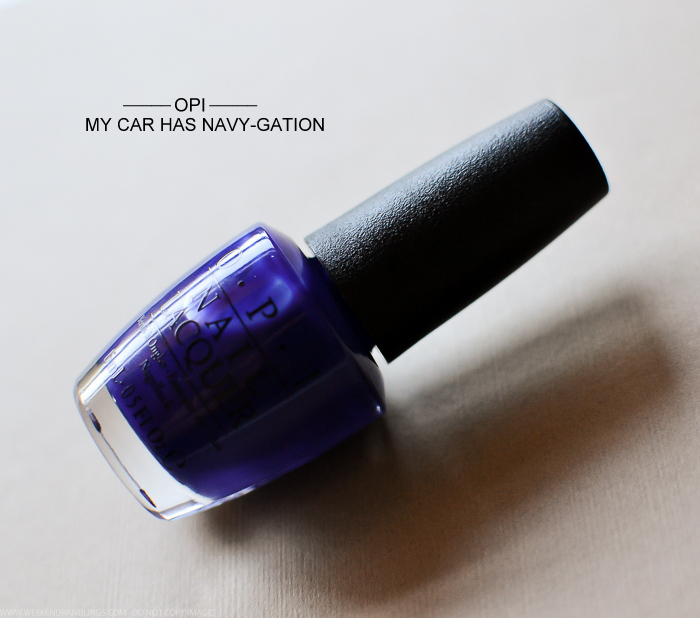 OPI My Car Has Navy-Gation is the perfect deep cobalt blue for any season - bright enough to to pop through summer and rich enough to liven up a dull winter day. 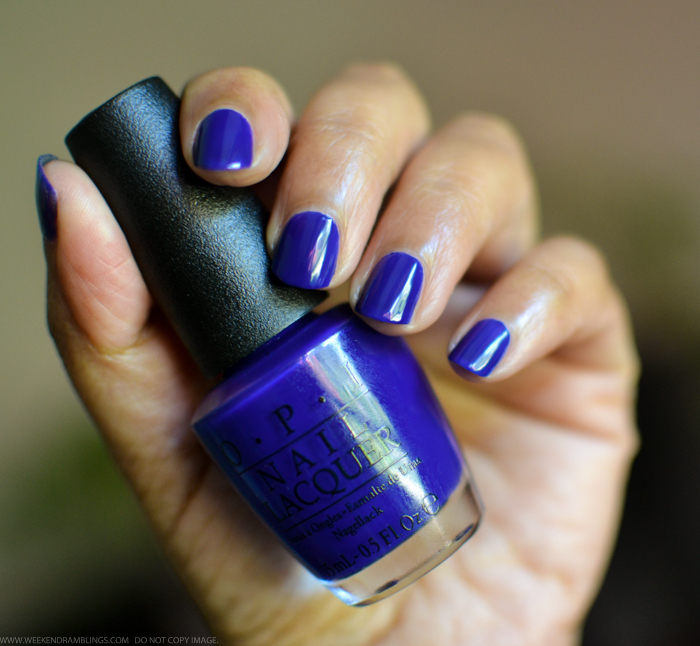 It does take 3 coats to get a smooth even finish, but it dries quickly to a streak-free finish. 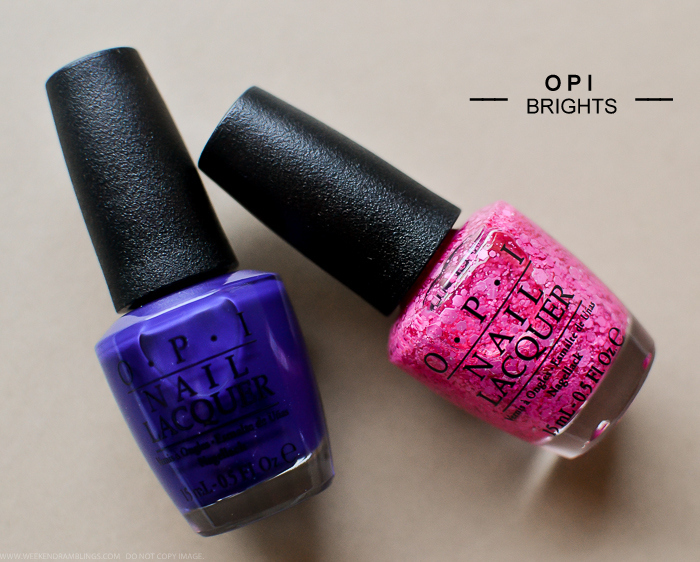 OPI On Pinks and Needles is a brilliant hop pink glitter (not shiny though) top coat, and I love how easy it is to apply. 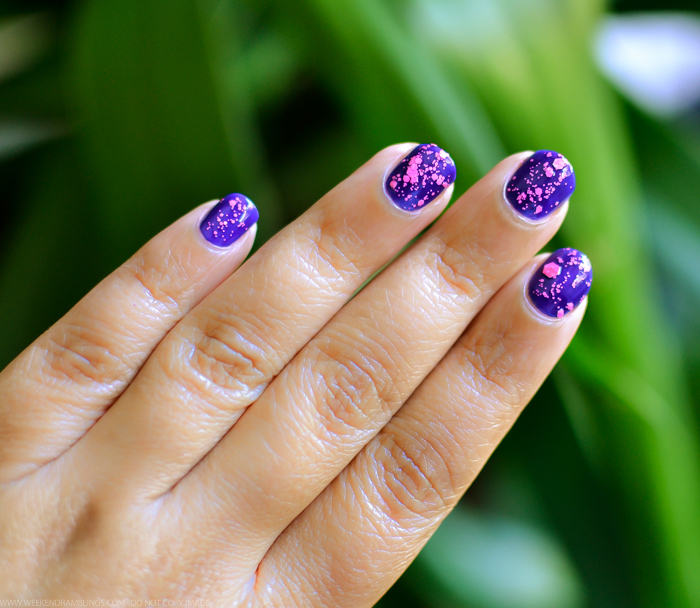 The mix of sizes in the glitter gives it just the right kind of scattered effect without any effort. Definitely a nail art trend I can wear.